MAKE AN APPOINTMENT AND GET IN AND OUT IN ONE DAY! 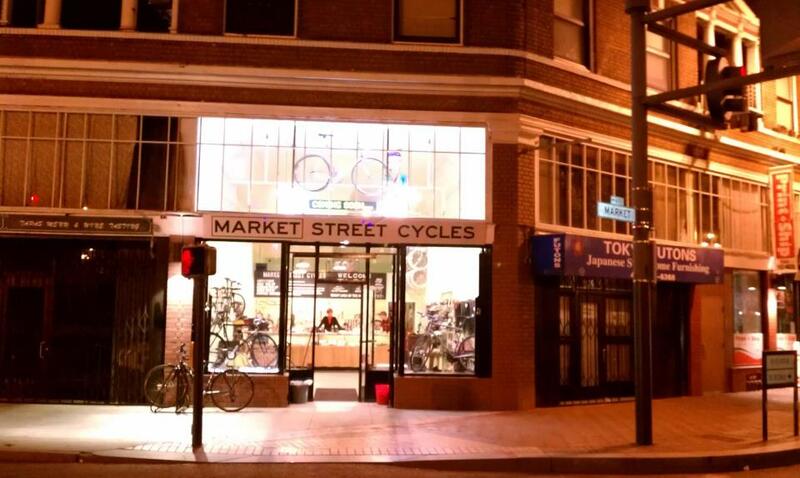 We are a full service bicycle shop that prides itself on being open WHEN and WHERE we're needed. We exist to serve the urban rider who uses their bike as a daily part of their lives as well as the weekend warrior. You can book an appointment online, over phone, or in person. What to except when you book an appointment. Drop your bike off the day of the appointment between 8-11am. We will then look over the bike and recommend the right level of tune and if any parts need replacing. You will be able to pick the bike up that same day in the afternoon. SCHEDUALING ONLINE- When scheduling an appointment online the time you select does NOT matter. We would still like to have the bike in by 11am the morning of the appointment or the evening before. Flat fixes $6 for the tube $12 labor $18 out the door. We are conveniently located near muni lines J,K,L,M,N,T F,6, 71 & 71limited and a short walk to the Civic Center Bart Station. Nobody likes to get talked down to, regardless of what kind of store you're in. We believe everyone who comes in deserves the same degree of respect, courtesy and professional service.